This collection is the most stylish piece of royal wedding memorabilia to date. With a new royal wedding fast approaching (May 19 is only 4 months, people!) you should expect a mountain of memorabilia and souvenirs to crash down upon us like a tidal wave. I’m not talking about just British flags and keychains—I’m talking cardboard cutouts, coffee mugs, and even a poster that reads, “It should have been me.” Some of it is tacky, some of it is ridiculous, but it’s all meant to celebrate the union of these two unconventional lovebirds: One, Prince Harry, a former bad boy British royal, the other, Meghan Markle, a hard-working American actress who literally met her prince charming. No wonder people are desperate to commemorate this moment—it’s basically a storybook romance. Still, not much to come out of the Prince Harry and Meghan Markle memorabilia train has been what one might call luxury. Until now. William Edwards is a English manufacturer of bone china. It's created collections for Michelin star chefs, hotels like the Four Seasons and the Waldorf Astoria, and even for the United Kingdom’s House of Commons. 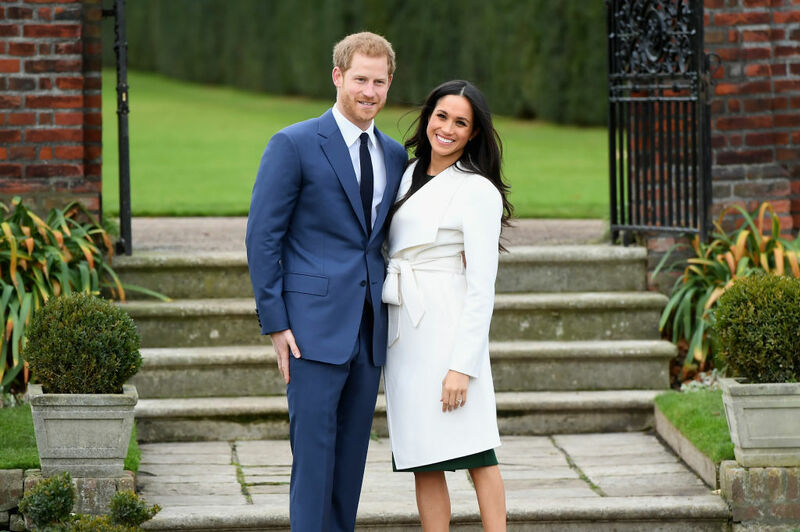 The company is now getting in on the royal wedding frenzy with a new collection of bone china dinnerware dedicated to Prince Harry and Meghan Markle. The items are all reasonably priced, ranging from £15 for the saucer to £45 for the teacup, so if you’re looking for a way to celebrate the coming royal wedding in style, this is the dinnerware collection for you.